This particular post as well as a couple of other recent posts are part of a final project for a course I am taking right now, but I figured I might as well share it with you, as I think most of you will find it very useful. My project answers the question "How can I get students motivated to read, write, listen, and speak in French?" I made a brochure for teachers to distribute to prospective and current French students that illustrates the ways in which learning to communicate in the language can be fun and interesting. I also interviewed a retired French teacher, who coincidentally, I had for 9th grade French, about her ideas on literacy motivation. The third part of my project is this comprehensive list of links to past and recent posts from my blog and a variety of external links that answer my question. - A fun way to learn French on the go. Practice your French tip: French TV and Radio - There's something for everyone! An interview with a retired French teacher - Ms. Lynaugh's thoughts on literacy motivation. 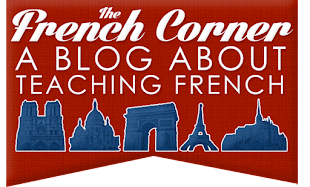 The French Corner's first iGoogle gadget - Learn a little French every time you go online! Study abroad in France - There's no better place to practice (and develop) your French! Cruisin' through the French-speaking countries - Make your vacation into an opportunity to practice some French! Portrait: Grégory Lemarchal - Discover the music of this late French performer. Kamini: Singing what he knows best - See the music video that made waves in France! The Three Musketeers in animé form - Watch the story as a cartoon! French Holiday Songs - Watch videos, buy songs, and see the lyrics to some popular French Christmas and New Year's tunes! Improve your French tip: French karaoke - Learn how to find French music videos with French subtitles online that you can sing along to! Portrait: Jean-Jacques Goldman - Discover the music of this legendary French singer. A dozen ways to practice your French on the weekend - Fit French into your everyday activities! Improve your French with online games - Play games that require you to read and respond in French! Verlan: That other slang - Learn about a fun type of French slang that involves inverting words. An Interview with Laura K. Lawless from About.com - Hear what the author of an expansive French learning site has to say about reading, writing, listening, and speaking French. French comic books - Discover a colorful genre that is part of life in French speaking countries! Geography of France - There's another kind of literacy in learning French that many don't think about: reading maps! 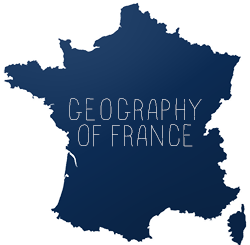 Discover what's where with interactive maps of the regions of France. French cinema - Reviews of some popular French films available to purchase online. French music - A sampling of some popular French music you can buy online. The French Corner Store at Amazon - I feature a variety of French books, music, and movies that I think my readers will enjoy! Many of them are mentioned in posts. French magazines - What's your passion? Fashion? Sports? Traveling? Politics? Read about it in French! French books - Books about French, France, French culture, and learning French that appeal to a variety of audiences. TV5 Apprendre.TV - Practice your French through games and videos from this international French language TV station. TV5 Enseigner.TV -The teacher version of this site! Find lots of fun reading and listening activities for your students. TV5 Jeunesse - Explore fun and games in French targeted at youth. TV5 Musique - Tons of audio and video to explore, and the best part is, they explain what the lyrics to popular French songs mean, beyond just a simple translation! Carole D. Fredericks Foundation - I was fortunate enough to have the opportunity to meet Carole Fredericks' sister, the director of this foundation. Carole was an American singer who sang in French and died tragically in 2001. This foundation sells materials to teach her songs in French classes. Recoins de France - This French language site has recipes and walks from every region of France! The adorable graphics and pictures give a glimpse at what the areas look like. La chanson francophone - This French teacher in Spain created games with the lyrics of popular French songs (it's a little addicting!) for various levels. You can listen to the songs in crisp audio as you play the games. Jouons en français - Have a little fun with these youth-oriented games in French! Interactive Novel - Try your hand at an interactive novel in French. Do-Ré-Mi Deux - The music and lyrics CD and booklet set created by the teacher I interviewed! Total Physical Response - Colorful boards and stickers to use in the classroom. TPR promotes learning French through actions, and is especially useful in developing speaking skills. Your brochure is absolutely amazing! Those are such good suggestions of how to practice fluency! I am always looking for creative ways to practice the language at home, so that brochure is simply perfect . I hadn’t heard about, “The Total Physical Response” before, so thanks for sharing. I think it is so much easier to play games, listen to music, and watch TV in another language than it is to sit down and memorize vocabulary or grammar usage, I like language learning, but thinking outside the box is my kind of style. My level of Spanish is now at the point where I need practice, because I already know the rules of grammar, and have a good vocabulary base. These creative ideas you have will definitely be really helpful for people like me:). Thanks, and good luck with the project.